Here’s Charlie at 2 years of age. He’s doing his best imitation of a pendulum at the playground. We pushed him on the swing and he had a grand time! Charlie and his new brother took some time out of their day to pose for us. Both were great subjects. 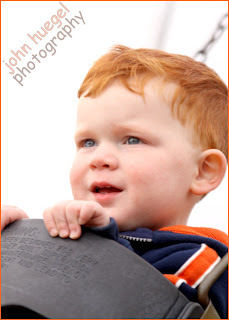 Shot in available light, Charlie’s photos were full of color and motion, just like a 2 year old’s life! This entry was posted in baby, child photography by admin. Bookmark the permalink.